Can you believe it is nearly spring? 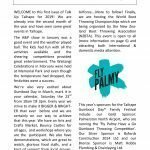 To celebrate, the Taihape Community Development Trust (TCDT), together with the Cancer Society, is organising the Spring Fling 2018. 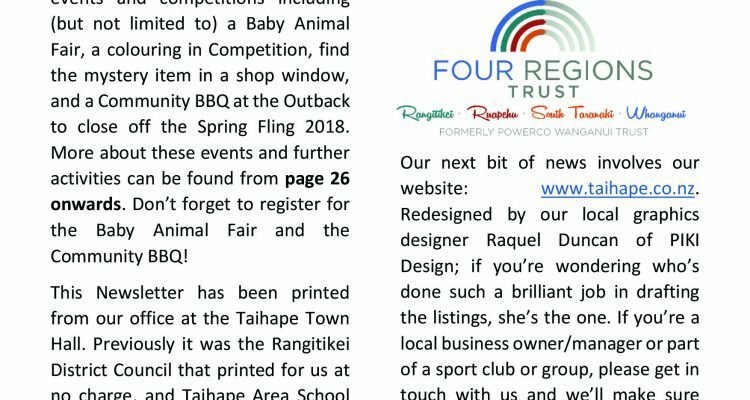 A variety of events and competitions including (but not limited to) a Baby Animal Fair, a colouring in Competition, find the mystery item in a shop window, and a Community BBQ at the Outback to close off the Spring Fling 2018. More about these events and further activities can be found from page 26 onwards. Don’t forget to register for the Baby Animal Fair and the Community BBQ!